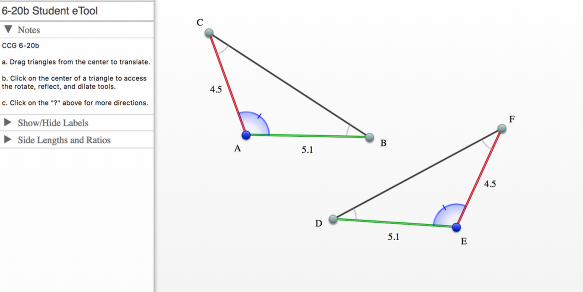 Use the eTools to prove triangle congruence. Move triangle ABC onto triangle DEF to prove the triangles are congruent. Drag the triangles from the center to translate. Click on the center of the triangle to access rotation tools. 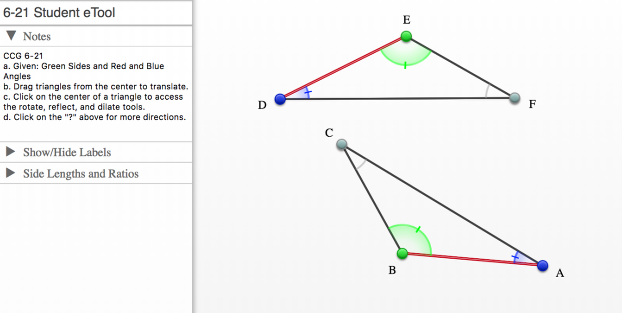 Drag the triangles from the center to translate. Click on the center o the triangle to access rotation tools.